I picked out a few of my mum’s indigo aso-ofi (also known as aso-oki) textiles. Aso-ofi is a hand-woven fabric, traditionally worn by Yoruba people during special occasions such as weddings, festivals, chieftences and more – it is a “top cloth”. I asked my mother to give me a quick breakdown of the pieces I chose. Pieces which she said would have been not only worn by women but men too. The cloth on the far (bottom) right is called aso-aro jawun because of the design. It was woven and dyed in the 50’s. The photo doesn’t do it justice but it is a deep, rich blue with a lovely shine. This intensity comes from it being dipped in aro(dye) year after year while the shine comes from it being beaten with a mallet after each successive dye. The second cloth on the left (the one with strips) was specifically made for use during the cold weather experienced in the harmantan season. The cloth is called Kijipa and is a very heavy aso-ofi woven with different shades of indigo dyes. My mother tells me Kijipa is “often handed down through generations” as a special gift from parents to children who are about to embark on a long journey. During the “50’s and 60’s it was a significant gift for those who left home for England/overseas; they are expected to have it for use during winter as a cover and to remind them of home”. This particular Kijipa was woven with thread dyed with both natural and synthetic indigo, with my mum thinking it was most likely woven in the 50’s. The remaining three cloths are referred to as aso-etu because of their designs. 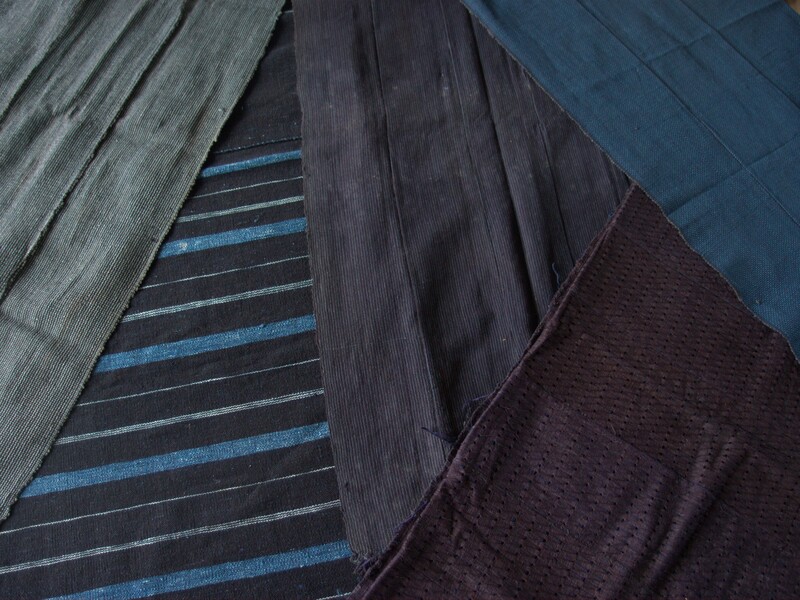 All three are woven with thread dyed with synthetic indigo and hand woven on a narrow loom in 2001. I was browsing on the internet and came across this site which tells you more about aso-oke heritage.